Why Bach? 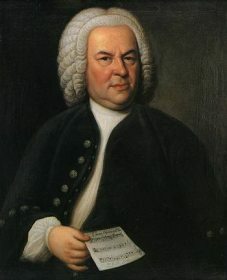 is an audio-visual appreciation of Bach’s music for the general reader. It combines a 20,000 word text with over 400 scores that play as a cursor follows along. Markings and colors call attention to musical particulars in the scores, giving even non-music readers a window into Bach's incomparable art. See and hear an excerpt via Amazon.com "Look Inside."